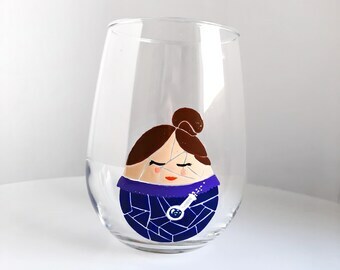 The fun shape of an egg takes on the charming likeness of Lucy, the beloved redhead from the beloved sitcom I Love Lucy. 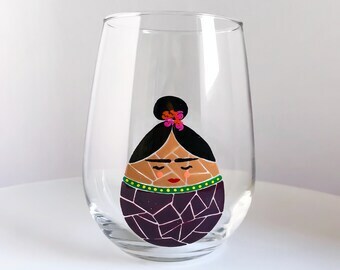 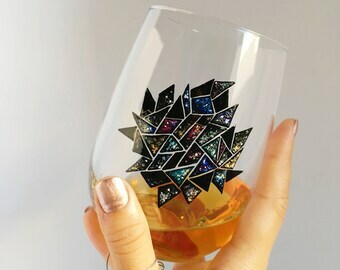 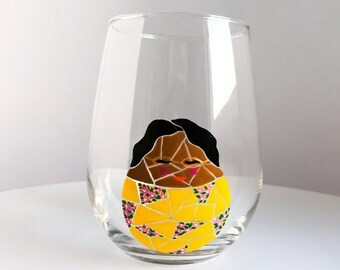 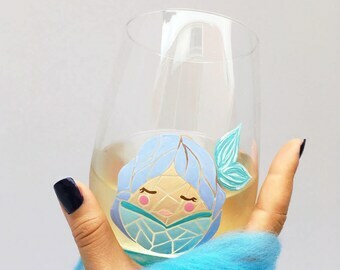 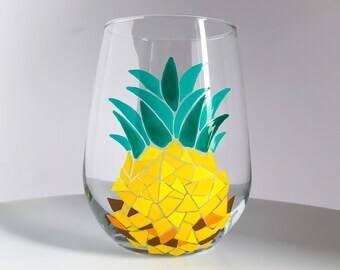 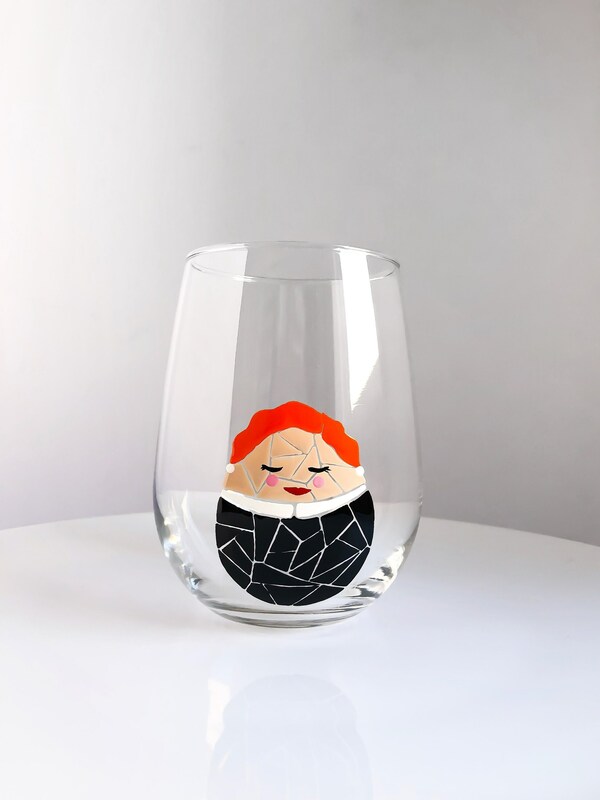 Drink with her in spirit with this unique and lustrous wine glass. 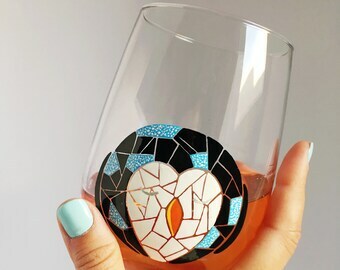 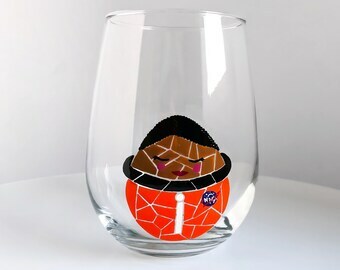 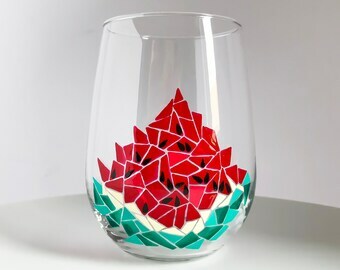 Hand painted in ME • KU's signature style of mosaic glass painting, your favorite beverages will peer through the art!